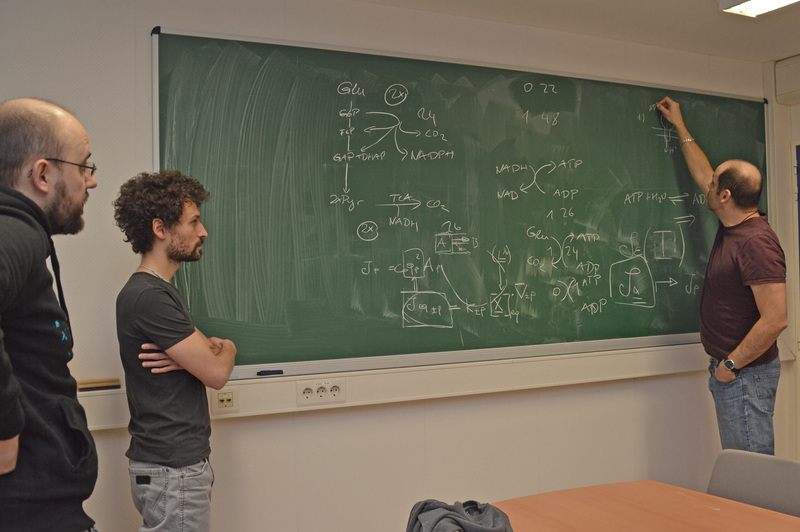 Massimiliano Esposito works in one of the few research fields that still use a blackboard, pen and paper: theoretical physics. After research stays in Belgium and the US, the Italian-become-Luxembourg-national returned to Luxembourg, to take up his FNR ATTRACT Fellowship. 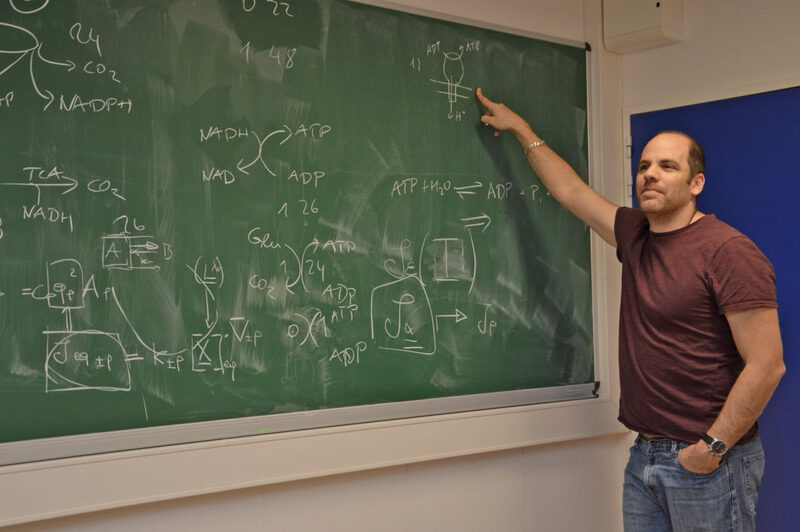 Five years later as the ATTRACT funding concludes and he embarks on a prestigious ERC-funded project, Massimiliano spoke to us about how his team is stronger than ever and how lucky he feels that he can focus on his research and put funding concerns aside. Massimiliano, you grew up in Luxembourg, but left to pursue your studies in Belgium and the USA after finishing high school. Were you actively looking to return to Luxembourg or was it an opportunity that arose? Did you always want to be a physicist? “Yes and no. In school, I loved physics, but I also loved biology. When I was finishing high school, I faced the dilemma of having to choose between them. I chose to study chemistry – not because I like it, but because it was the bridge between those two subjects. You’re a physicist, but what exactly do you do? “In short, my field of research is statistical physics and thermodynamics, a branch of theoretical physics. Historically, thermodynamics is the science that explains how to convert heat into useful forms of energy, such as mechanical works. It developed during the industrial revolution, when people were trying to figure out how much wood they needed to burn to pump a certain amount of water out of a mine. 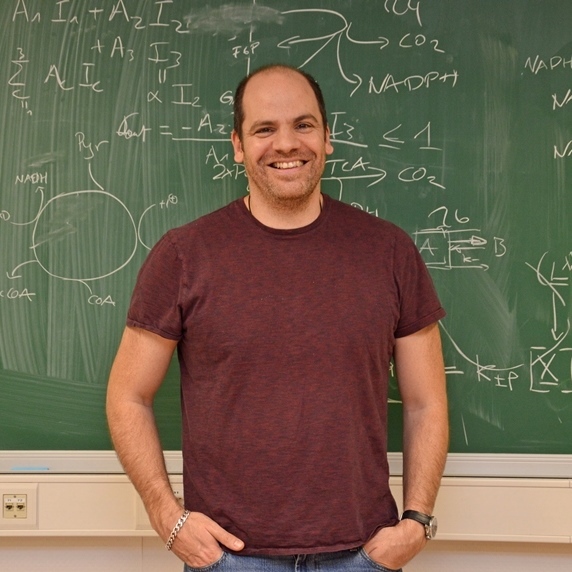 “My specialisation is something that emerged over the last 20 years: We want to understand how small machines – such as molecular motors or nanocircuits – can operate efficiently, accurately and fast. The concepts that were developed to address these questions for big machines, such as planes, need to be reconsidered at the molecular scale. What I do is to develop the mathematical theory that helps us answer these questions. In 2016, you were awarded a sought-after Consolidator Grant by the European Research Council (ERC), which will run until 2021. What difference has your ATTRACT Fellowship made to where you are now? “My ERC grant is a product of my 5 years of research under ATTRACT. Typically as a Postdoc you are ‘safe’ for one or two years, but thanks to ATTRACT I had five years to focus on my research, which allowed me to go after more interesting and difficult research problems. “For example, I had some ideas on how to study the thermodynamics of open chemical reaction networks, but I knew that it was a bit risky. The ATTRACT project gave me the time to frame these ideas into a proper problem and start solving it – and this topic became a key aspect of my ERC Fellowship. The fact that your ERC project starts right as your ATTRACT project concludes must also be a relief for your research group. How is your group set up and how has it been impacted by your ERC grant? “Theory typically works with smaller groups, and you can get a lot done with 5 or 6 people, which is around the size my group was during my ATTRACT Fellowship. 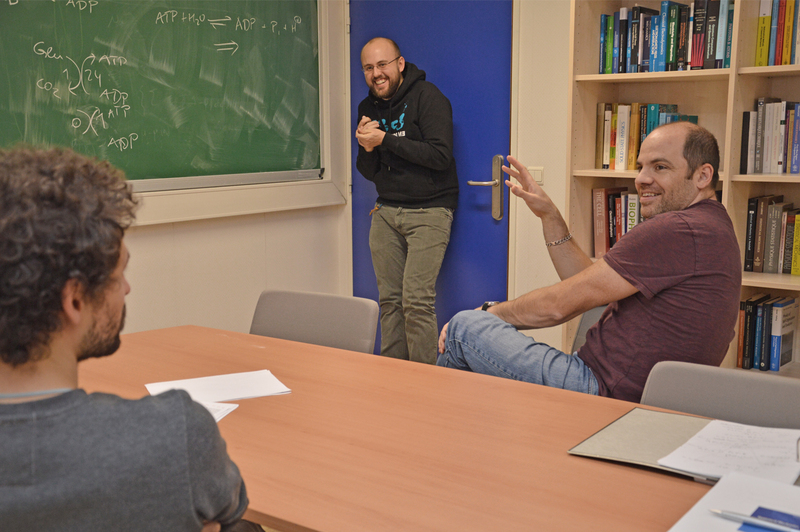 Since I got my ERC grant, my group has temporarily gone up to 10, which I feel is the upper limit for a group that works on basic theory and conceptual problems. Your work is more mathematical and theoretical so you don’t really have to spend time in a lab doing experiments. What does your research look like in practice? “It involves a blackboard and paper! The kind of research we do is conceptual. Understanding which questions need to be asked brings you halfway toward solving the problem. If you know the right questions, it is usually not too difficult to come up with reasonable answers on how to solve them. How is your work life balance, would you say you work all the time? “Well, I am extremely lucky that my partner is also a researcher. We have been on the research journey together for some time, and we have an understanding that we need to work a lot and it has always been part of our common activity: we work all the time! “Even when we go jogging, we sometimes discuss work, but it has changed since we had kids – we used to work on weekends, not so much now, although we do work when the kids sleep. You are passionate about physics, but why did you become a researcher in this field? Who is your biggest role model in your domain? What have been your highlights since you came back to Luxembourg in 2012? 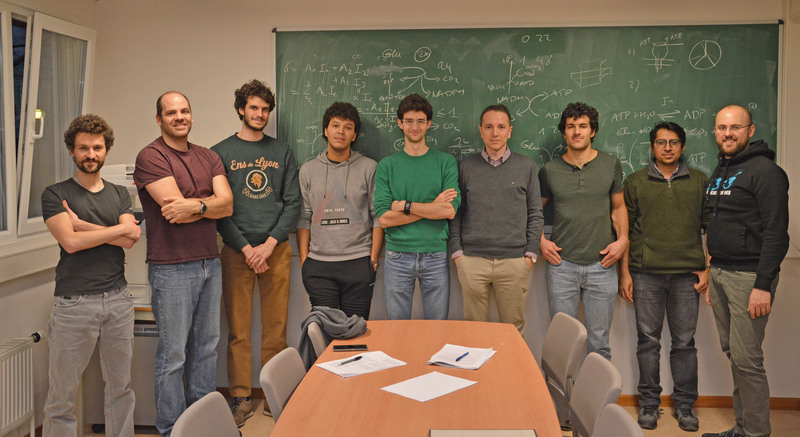 Massimiliano with his research group ‘Complex Systems and Statistical Mechanics’, part of the Physics and Materials Science Research Unit (PHYMS) at the University of Luxembourg. Luxembourg’s research landscape has grown quickly considering its young age. What do you think is the key to boosting Luxembourg’s competitiveness in research? Molecular motors, also called molecular machines, are either natural or synthetic molecules that convert chemical energy into mechanical forces and motion in living organisms. Nanocircuits are basic electrical circuits that are designed and operated in the nanometre scale. 1 nanometre = one-billionth of a metre. One strand of human hair is around 100,000 nanometres in diameter.